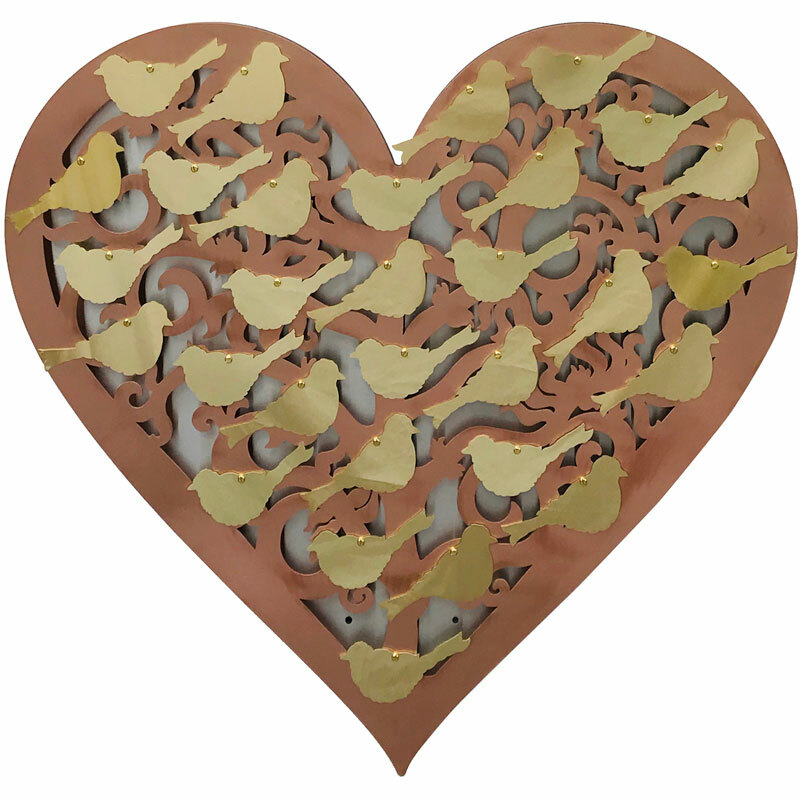 Includes 30 brass bird plaques, with or without engraving. Ideal for tributes and donor recognition projects. 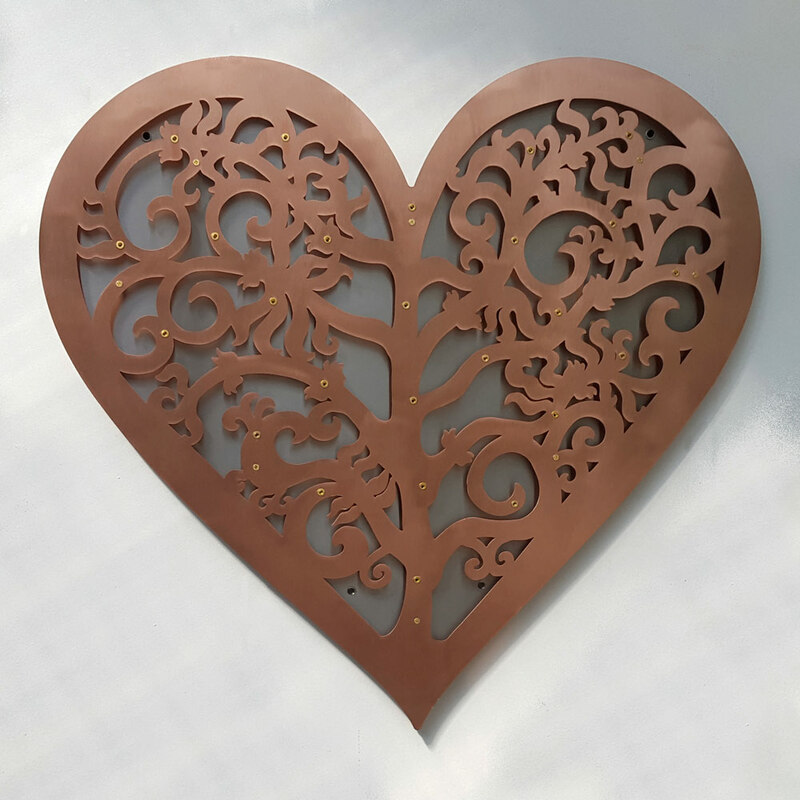 The Filigree Heart can display a maximum 30 brass bird plaques at any one time.